For this week's Frugal Round-up I've got some very cute (and clever) projects to share. 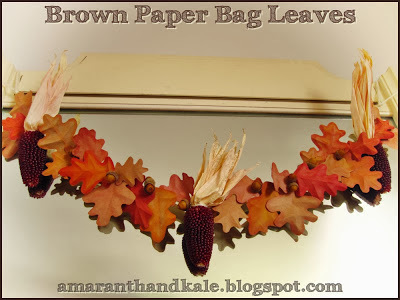 Check out this adorable fall garland shared by Amaranth & Kale. The kicker? It's made from brown paper bags! 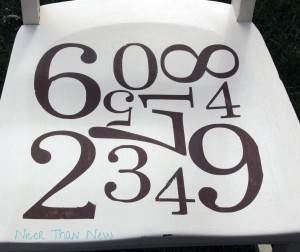 I love this PB-inspired number chair shared by Nicer Than New. It's so cute - not to mention, educational! Lol! 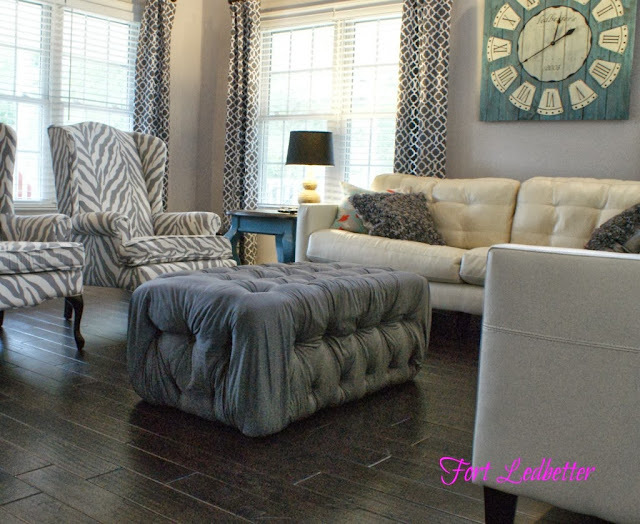 Finally, I'm super impressed by this DIY tufted ottoman shared by Fort Ledbetter. She made it out of cabinet doors, can you believe it? Thanks so much for hosting - love the features - that ottoman is amazing! Great party. Can't believe I'm early for a change. I'm coming back later to check out the goods. Thanks for hosting. Thanks so much for hosting! Just wondering, is it alright if I link back to your blog on a common link page rather than the actual blog post? Thanks for the party Wendy and have a great weekend! A truly spooktacular party! Thank you for hosting. Thank you Wendy for featuring my Pottery Barn inspired chair! I feel very honoured! I am working on an ottoman right now but nothing like the one you featured. That's amazing! Thanks for hosting. Thanks for hosting the party! I am excited to link back to your page, and invite my viewers to see all the fun Friday links!! Thank you so much for the featuring me! I'm so excited! Thanl you for hosting, Wendy! Thank you so much for the great party Wendy! Have a great weekend!